Public Comment - Norm congratulated Carol Giovanatto on her years of service on the TID Board and for the outstanding work she has done as our Sonoma Coty Manager. Discussion on working together with the City and Local Community on Balancing Tourism and Quality of Life in Sonoma - Norm Krug A preliminary discussion took place and an action plan is being worked on to move forward in a positive way. The Board will continue the discussion at next our meeting. Marketing Report / Group Marketing Discussion - Jonny Westom Web stats continue to grow and are showing a nice increase year over year. The Holiday Lights will continue until January 16th. 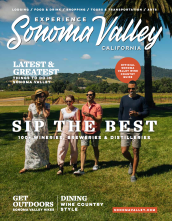 The January Sonoma Valley Delicious campaign is up and running and has more than 40 offers from members. Consideration of Items for Future Agenda - Norm Krug Continue discussion of how to work together with the City and residents of Sonoma in balancing tourism and quality of life. Board Member Comments - None Meeting adjournment.